It’s easy to gush about Hydrangeas. 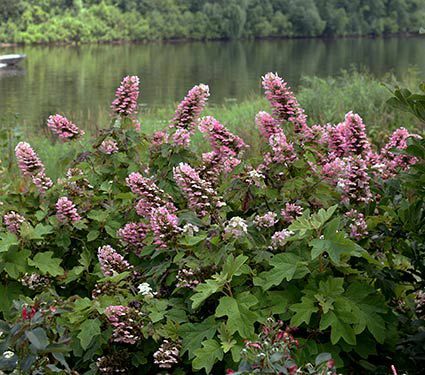 Grown for their large and spectacular flower heads, these classic shrubs are vigorous, of easy care, and attractive at virtually every stage of growth. Best of all, they dazzle in summer and fall, a time when many woody plants are resting. 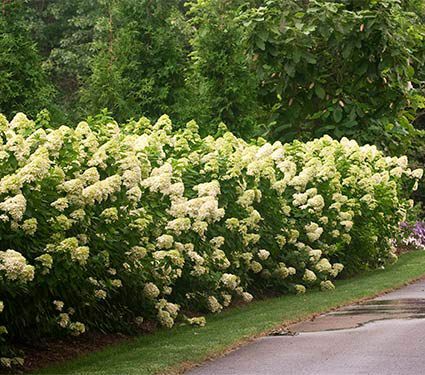 Whether you are a novice with growing Hydrangeas or an expert, our video series mentioned below can help you learn more about these beautiful shrubs. Most Hydrangeas are not fussy as long as they receive their preferred amount of sunlight (generally full sun to part shade) and are planted in moist, well-drained soil. They will even thrive in coastal areas, since they tolerated high winds and salt. 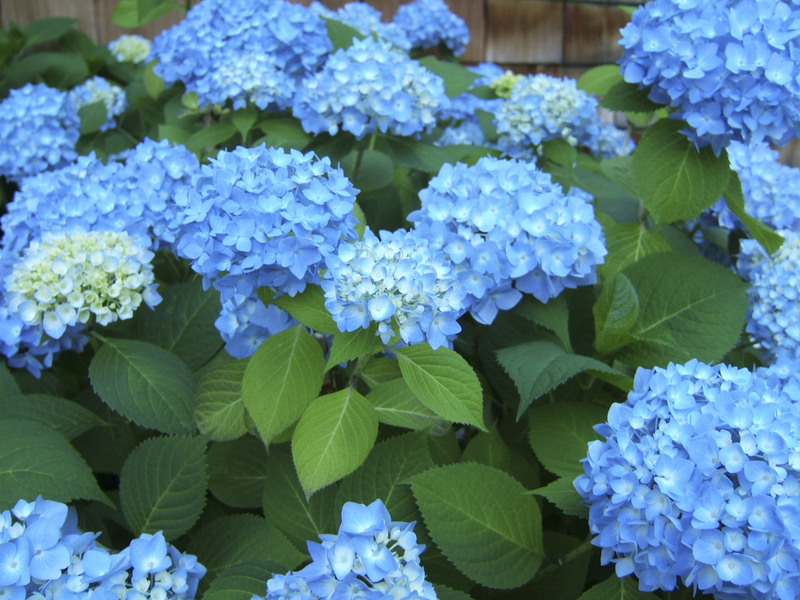 Most Hydrangeas do need water if it doesn’t rain, but are otherwise undemanding. 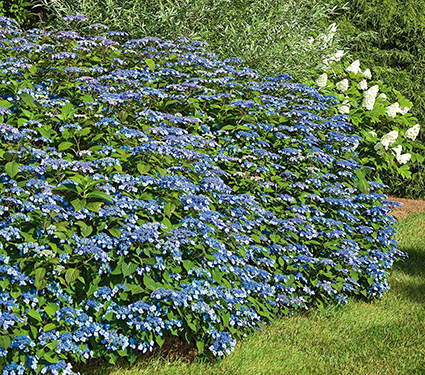 Mulching Hydrangeas will conserve moisture and buffer soil temperatures. 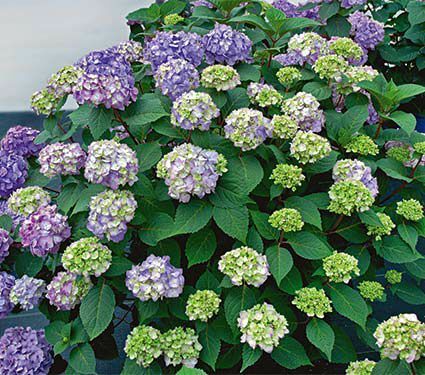 There are many different types of Hydrangeas, from mophead (macrophylla) varieties, vining Hydrangeas (anomala petiolaris), native Oakleaf Hydrangeas and many more. Some are shade-loving types such as Hydrangea serrata ‘Blue Billow’, which also offers a sensational display of colorful fall foliage. 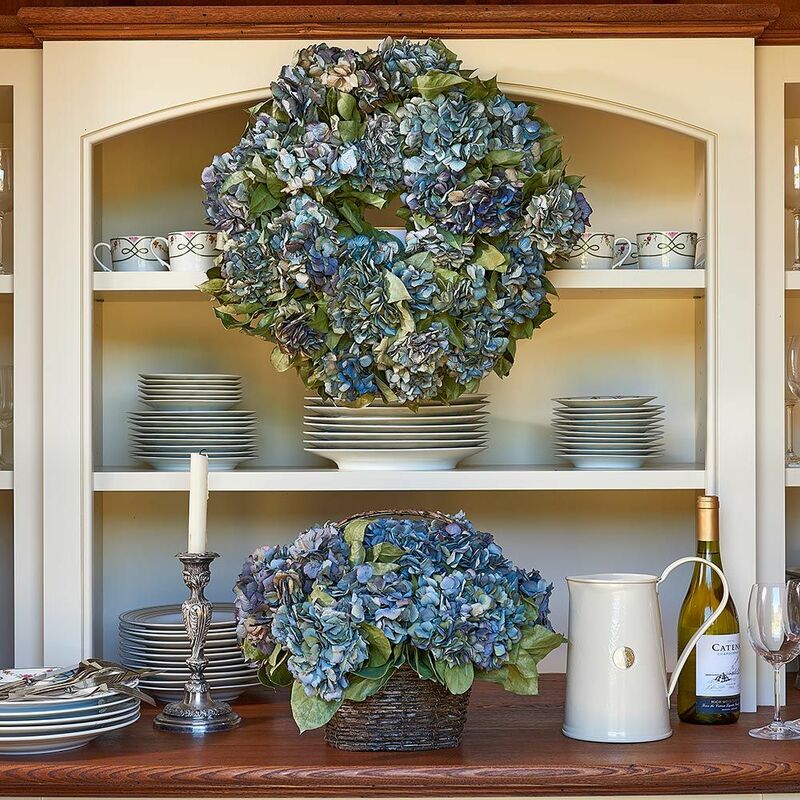 To learn more about the different offerings of Hydrangea, watch our video “What are the Various Types of Hydrangeas” below. Flowers come in shades of white, cream, chartreuse, pink, blue, and red. Blooms of many hydrangea Varieties change color over time, so they show is continually intriguing. 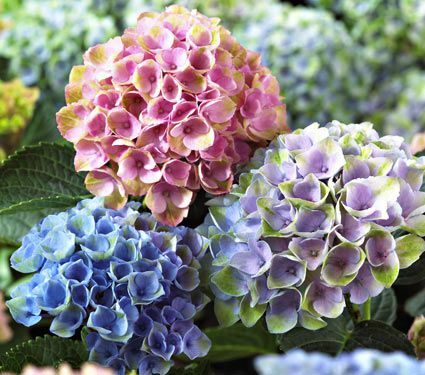 Some varieties of Hydrangea change flower color depending on the pH of the soil, generally blue on acid soils and pink on alkaline. For help on getting your hydrangeas to bloom, watch our video, “Why Didn’t My Hydrangea Bloom?” below. The biggest breakthrough in Hydrangea breeding has been the introduction of varieties that bloom on both old and new wood. Endless Summer®, Blushing Bride®, Let’s Dance® Moonlight, and Twist-N-Shout™ are among these exceptional long bloomers. They flower on old wood starting in late spring and then on new wood in midsummer. In warm climates, the bloom period can last up to six months. These newcomers also make good choices for colder climates, since bloom on new wood is reliable ensured, even after a severe winter. Regular deadheading of these varieties helps to encourage rebloom. For tips on pruning all varieties of Hydrangea, watch our video, “Pruning Hydrangeas” below. Since Hydrangea varieties range from compact to sprawling, check your plant’s size at maturity and give it room to grow. Many Hydrangea varieties look superb when grown as a hedge. 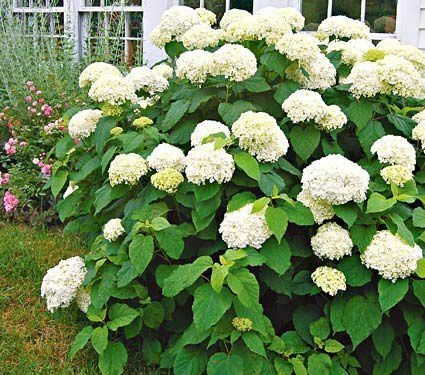 When Selecting companion plants, be sure that their light requirements match those of your Hydrangea and the planting site. In the high heat of summer, the large, showy blossoms of Hydrangeas fill gardens and vases with long-lasting color. 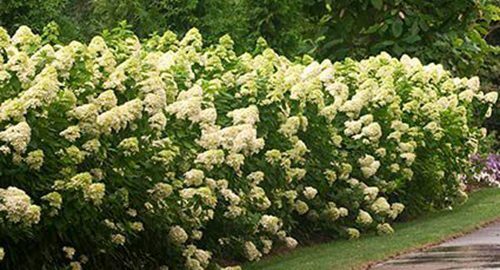 These versatile shrubs also do a great deal to add structure to garden beds and foundation plantings, and they make superb hedges, too. 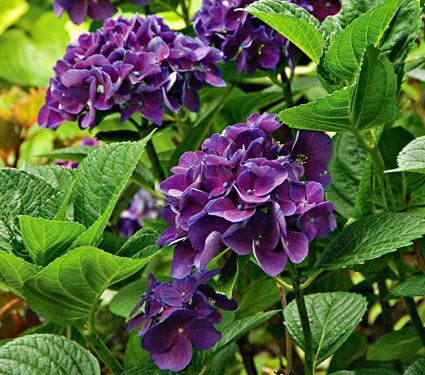 With cultivars ranging in size from container pot specimens to 8-footers, and a broad spectrum of colors from pure white to reddish purple to classic blue, there is a Hydrangea for every garden. 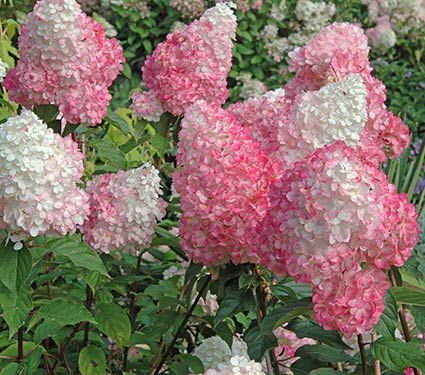 As gardeners are plotting and planning what to add to their spring planting list, we thought it would be fun review the different types of Hydrangeas. Hydrangea arborescens is a good choice for colder climates since it flowers on new wood and is not bothered by late spring frosts. Plants tolerate light shade as well. This species was originally cultivated in China and Japan. 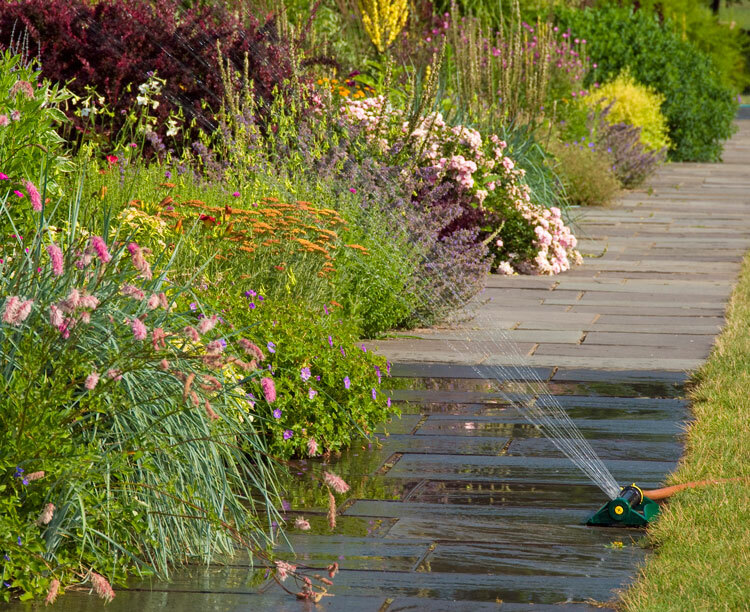 Many varieties tolerate wind and salt spray. Fortunately for gardeners in colder zones, recent Hydrangea introductions are more likely to flower on new growth as well as year-old stems, which means flowers are guaranteed even after a tough winter. Likely the most cold-hardy Hydrangea of all, H. paniculata flowers aren’t subject to frost damage since they bloom on new wood. Plants generally have large, cone-shaped blooms. 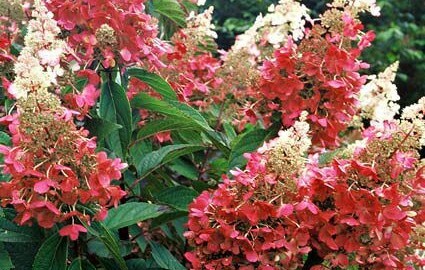 Oakleaf Hydrangea is native to the United States and has long, cone-shaped flowers. Its large, broadly lobed leaves are very attractive in fall. Native to the mountains of Japan and Korea, this species prefers cooler locations. 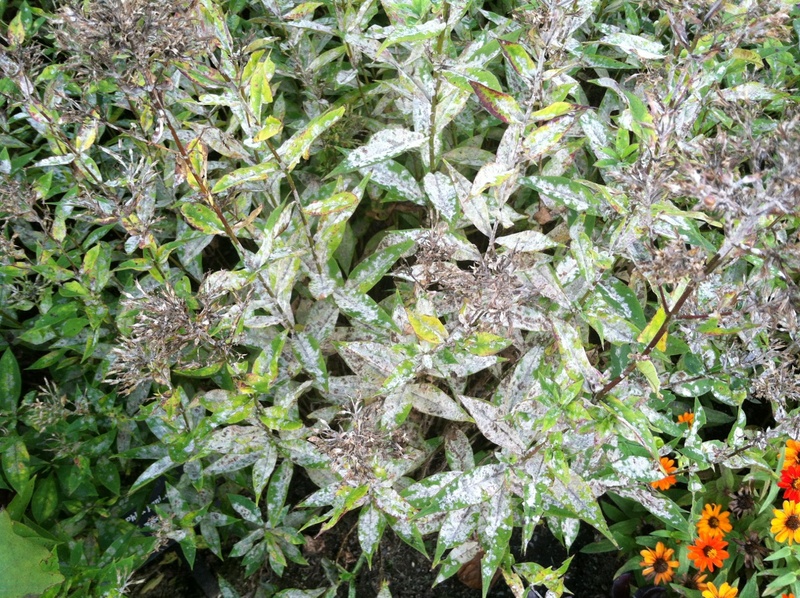 The flower color in some varieties is affected by soil pH.